There’s not long to wait now until we can offer you the long-awaited first test rides on the brand new Forty-Eight® Special and Iron 1200™ motorcycles. Both bikes will be available on the demo fleet for our Sportster weekend on 12-13 May. We’ve seen loads of interest in the new machines, so it’s best to book your test ride online in advance to avoid disappointment. 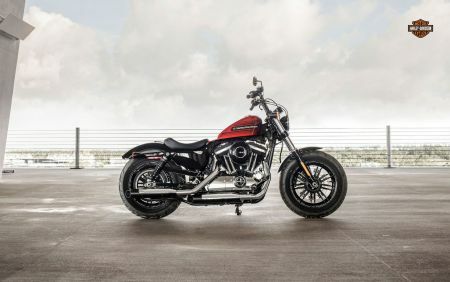 In addition, you will have the opportunity to test ride a wide variety of other models in the Sportster range, some of which are available on our low-rate finance of 5.9% APR until 31 May. Prices start from just £99 per month for the Iron 883™, Forty-Eight® and Roadster™.